Are you losing sales to your Amazon competitors and struggling to find out the reason why? What if you had the ability to know what your competitors are doing, what strategies they are using, and what exactly is going on in the niche which you are selling? It sure is a challenge. But by utilizing the available Amazon product research tool on the market, you can easily conduct a detailed comparative analysis between your business and other competitors. All businesses face competition. In order to beat your competitors, the first step is always to identify who they are. This can be easy by searching on google, spying on social media or look at the “Other Sellers on Amazon”. However, the next step is often harder which is to determine what your competitors are doing? And how they are better or worse than your business. Do they have more product variety? And what are their average selling price, reviews, sales and rank? 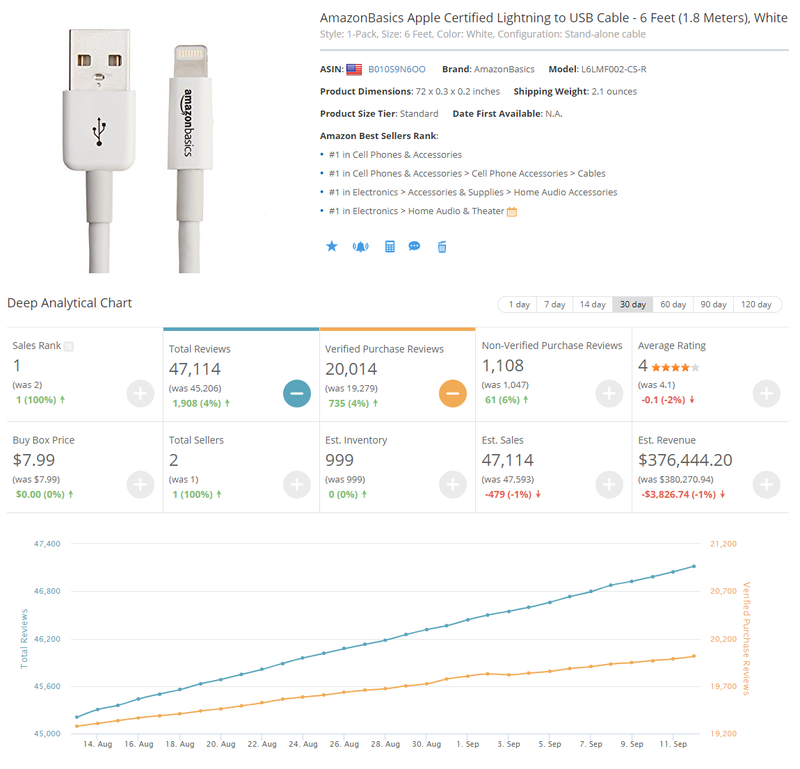 With an existing Amazon research tool like BigTracker, you can easily review your competitor’s performance at a glance and scope out the competition by monitoring the best performance brands. BigTracker Brand Analytical Chart gives you access to competitor’s overall performance in the past 1 to 120 days. Additionally, you can see their number of active/inactive and new products, as well as their daily sales volume and revenue. Another way to help you effectively track Amazon competitors is to setup an alarm notification. The alert system will automatically notify you to the changes on competitor’s inventory, price, review, ratings, revenues etc. So you are always one-step ahead the competition. By gathering competitor intelligence, it helps you get a clear image on where your business positions in the market. Another key reason to actively track Amazon competitors is to find-out competitor products that are stealing your revenues. Your competitors are not just those who are selling the same products as yours, but also other brand sellers who are selling products that can be purchased as supplements to what you are selling. Therefore, it is critical to track your competitor’s product performance. With BQool’s newest product research tool, you can easily identify your competitor’s best-selling products and monitor the product price, review, sales, profit margin and inventory amount. With all these insightful analysis, you can make actionable plans on how to compete with competitors and differentiate your products. By tracking your competitor’s hot-selling products, you can observe what the best sellers are selling differently and further utilize the information into new product ideas. Sometimes you might be wondering why you’ve suddenly lost a significant amount of orders to your competitors. And after a long time of researching, you then realized that your competitors were running a special promotion. Knowing what your competitors are offering can help you measure their strengths and weaknesses hence gain insight into your own. But, the hardest part always starts with HOW? A few quick ways to start with: 1) check Amazon Today’s Deal 2) visiting competitor’s website to see if they are running discount deal 3) check on social media. Many brand sellers will also release their special deals on fan pages so you can spy their promotional campaigns online. However, these methods require a lot of time and manual efforts, especially when you have too many competitors. Here comes the Amazon tracking tool like BigTracker. BigTrakcer does not only capture competitor’s promoted sale prices, but also record other promotional information including the started time, amount of discount, product rating and type of Amazon deal. You can also turn on Deals Alert to receive notification when competitor’s product has created a new deal. This allows you to plan your next move in response to their promotion, e.g. start running a deal, cut down your inventory or run the deal after your competitor’s deal ends. By visualizing your competitor’s deals and sales, you can enhance your business promotional strategy to stand out in the crowd. Amazon is an intense competition and there are always sellers who are hungry for your customers. One of the key steps to get ahead of your competition is to start actively monitoring your Amazon competitors. Start tracking your competitors with BigTrakcer. Add yours and competitor’s products to Product Tracker and stay updated with the competitor’s performance, pricing, sales and ratings so you can fine tune your business strategy.